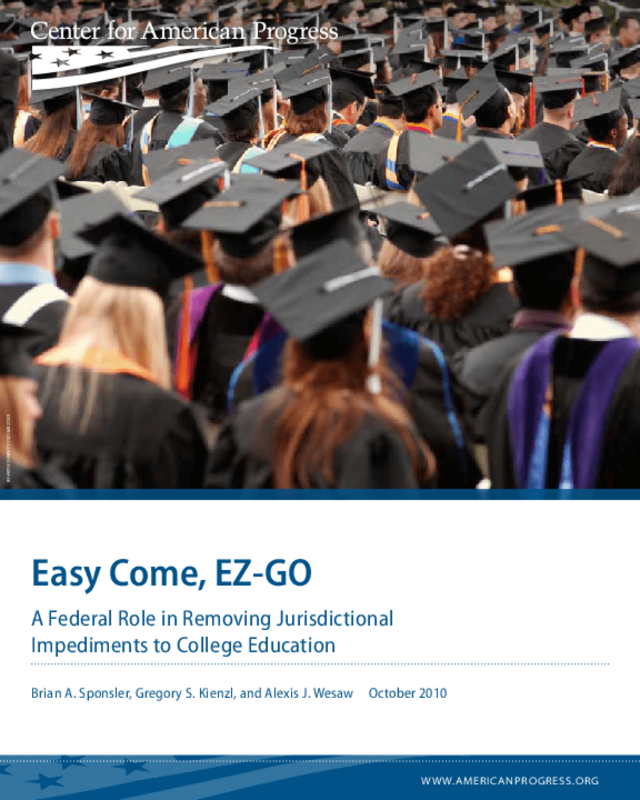 Outlines the need to raise college degree attainment by creating Educational Zone Governance Organizations in multistate metropolitan regions to coordinate and incentivize policies that expand access. Offers data by metro area, age, and race/ethnicity. Copyright 2010 Center for American Progress.